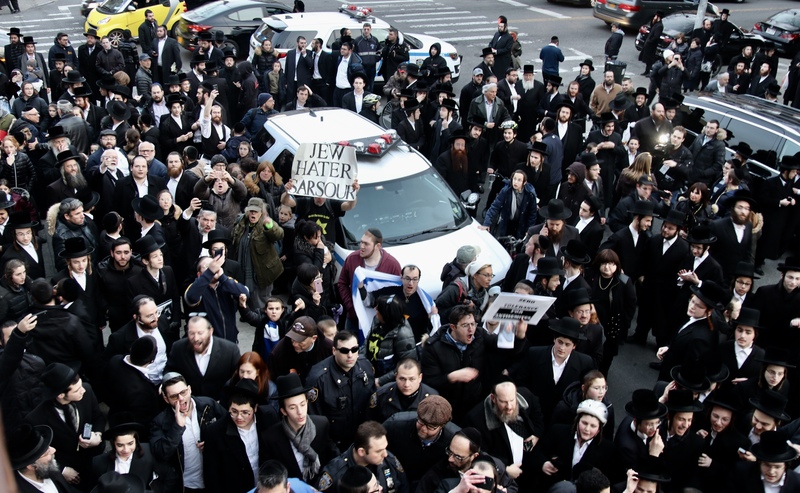 BORO PARK – A protest against Council Member Kalman Yeger’s “Palestine doesn’t exist” tweet was overtaken Thursday by a raucous counterprotest as the political divide in the Middle East flares up in New York. At about 6 p.m. on Thursday evening, adults and schoolchildren began gathering on the corner of 16th Avenue and 45th Street. There was a car parked on the road with flags that said “Trump 2020.” In about ten minutes, the street was swarmed with people chanting “Israel” and holding signs that said “Zero tolerance for anti-Semites” with a photo of Minnesota congresswoman Ilhan Omar. In a matter of an hour, about 200 people supporting the council member’s comment had gathered on the small block. Some were even perched on the fire-escape until they were told by the NYPD to come down. This episode began this week when Yeger tweeted that Rep. Ilhan Omar was an anti-Semite, I responded that it was this very council member that has previously said that Palestine does not exist. A story by Bklyner from last year highlighting his tweets about Palestine was linked in the tweet. The tweet received backlash from activists and elected officials, many of them who called for him to leave the Immigration Committee. The man of the hour did not come to say hi. 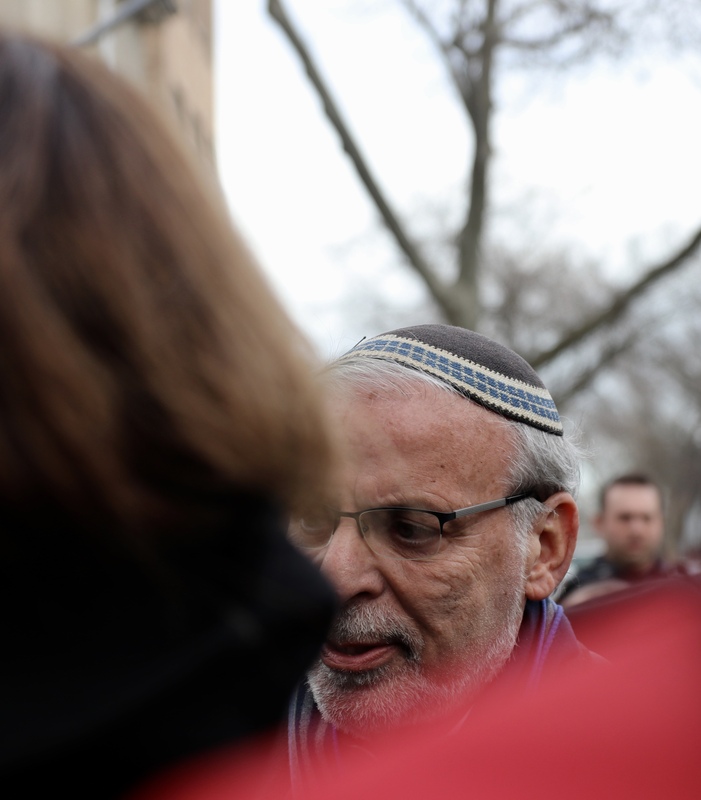 Rather, Yeger’s fierce supporter Assemblymember Dov Hikind was in attendance. He repeated several times that Yeger “has a right to his point of view.” He then led a chant saying, “Linda Sarsour is a terrorist,” referring to an Arab-American activist who wasn’t actually there. There were a few members of a militant extremist group with a violent history, the Jewish Defense League (JDL), who were very vocal, stuck out their middle fingers, and shouted “boo” when protestors were chanting. “Jews don’t murder people like the Arabs do, OK?” another man told Bklyner. One protestor told Bklyner she was there to support Palestinians. She said Palestinians deserve their identity. When the number of counter-protestors began to grow, cops formed a line on the edge of the sidewalk to keep the sides separate. But at one point, some crossed the line and began shouting “Go home” to Palestinians. “This is causing hatred. We used to live in peace with our Palestinian neighbors. We know that there’s no religious conflict between us,” Yitzchok Deutsch told Bklyner in the back of a police van that was driving protestors to their cars. This article is so objective, bias free, and funny… this writer is excellent at the job. Iqbal is the most biased “reporter” in local newspapers. Her glowing accounts of a January fete for Ilhan Omar in Sunset Park, and constant LYING references to Trump’s “Muslim ban” (which never existed) were a disgrace. It is a joke she is on your staff. Thank you for your bravery reporting on this story. I’m sorry you had to endure this venom and ignorance. Add Sheepshead Bay to the list, Mr. Deutsch! And Mr. Allenby, if it looks like a duck and quacks like a duck, one would be correct to constantly refer to it as “duck”. What a joke. Omar can spew Jew hatred repeatedly and she isn’t taken off the Senate Foreign Relations Committee. Councilman Yager States a historical fact and everyone turns on him. Palestine never existed as a country. Never. Ever. Joel S, I assume you are being sarcastic? 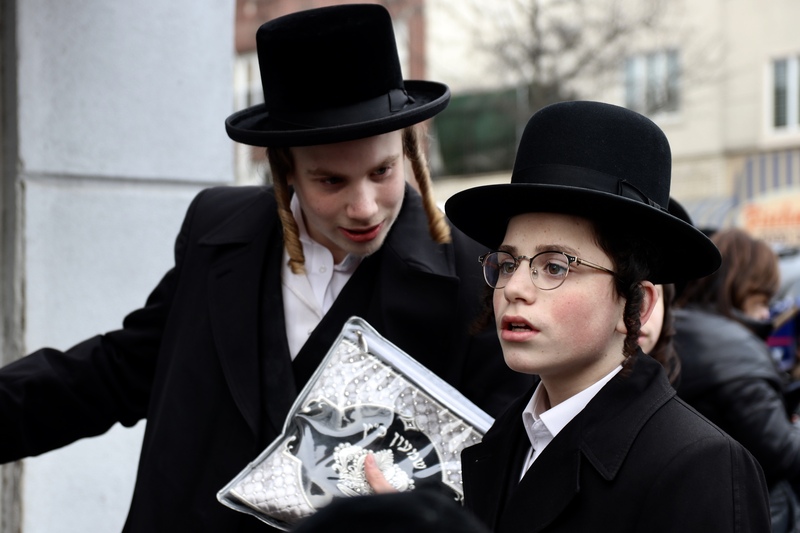 I echo Mr. Yitzhok Deutsch’s comment that there is “no religious conflict between us” (i.e. Muslims and Jews.) What we have here is a territorial conflict, not primarily a religious one, and it’s not US territory that’s being contested, but the area in and around the “Holy Land,” but many of the more vocal on both sides are framing it as a religious issue, as if all Jews and all Muslims were on one side or the other.Considering how many New Yorkers have family, business, religious, and emotional connections with Israel/Palestine/Jerusalem, it’s not surprising, but it is unfortunate, that this conflict spills over into NYC streets. I myself have such connections. Mr. Yeger does have a right to express his views on US foreign policy, and others to disagree with him, but how, when, and where those opinions are expressed should be considered. As a NYC council member he must realize that his comments do not help, but in fact harm, the community he purports to represent, by increasing tensions in what is usually a state, however uneasy, of quiet co-existence. Muslims are allowed to be reporters too, friend.